Small-to-Midsize businesses (or SMBs) always find it difficult to compete with their larger counterparts. Large businesses are “large” because of a better infrastructure, greater manpower, brand value and wider reachability. While a small business can not think about outsmarting the big guns when it comes to the infrastructure or the manpower, it still can win the fight via Internet marketing. The recipe for success is the same for the big businesses as well as the SMBs – it is the methods adopted to market the products and services in front of the targeted audience. Unlike a big business, however, an SMB can not afford to spend thousands of dollars in expensive promotional tactics. So, what is the next best thing? Email marketing is one such medium which is not only versatile but also equally fruitful. Moreover, the arrival of new tools have made emails more promising and eye-grabbing to the clients. In fact, recent years have seen email marketing get higher preference from SMBs more than anything else. But what is the reason of this widespread popularity? Let’s have an in-depth look. The first thing that 95% of all SMB marketers do in the morning is checking the inbox for new emails. According to a recently conducted study, reading emails takes up nearly 28% of average work time. This means that even your prospective clients indulge in emails. So why won’t you explore the place where they are? However it is also true that you are a busy person, and spending too much time in surfing emails is not affordable. The solution is transferring your responsibilities onto an auto-responder. Auto-responders help in writing and scheduling a series of emails. The auto-responder sends the emails out on pre-programmed regular intervals to your target audience. So, you can expect an increase in your conversion rate as the auto-responder keeps constantly educating your clients. An SMB has to constantly keep the cost of its promotional efforts in mind. And when it is about promotional strategy, there is hardly anything cheaper when it comes to email marketing. However, email marketing is not only highly const-effective, but is also efficient in producing a relatively higher ROI. A survey conducted in 2008 revealed that retailers spent almost $7 per order per order, and this is the lowest in any form of internet marketing. 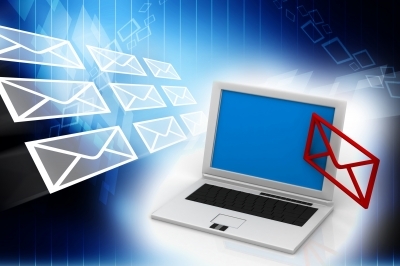 Emails, as predicted, will play a significant role in the coming years for sure! You should frequently check on the statistics to understand whether your SMB is heading towards the right direction or not. This means that your promotional efforts should always result in a measurable outcome. Email marketing is one of the easily measurable marketing tools, and thus it greatly helps SMBs to calculate the success and failure ratio through the marketing analysis report. These are the reasons why email marketing is the future – it is one of the important promotional pillars which is going to shape how SMBs will use Internet marketing to promote themselves. E-mail marketing is one of the growing industry of marketing. It helps to promote your product and service. It also helps to reach targeted audience directly. E-mail marketing will always be a smart tool for gather users and promote products or services. E.mail marketing can be great, but plenty do not understand how ti build a quality list and it is much harder and requires work if you want to do it right. I think it is a great resource if used properly. you can stimulate and encourage your users to subscribe to your list with a free product or service, something of course that must be useful to them. Day by day, you will build a mailing list of people who care for your content. One more thing that I would like to mention about big business is that they have access to almost unlimited funding and can therefore do far greater marketing than any small business will ever be able to. E-mail marketing really does put everyone on the level playing field and can help mall business grow and expand. Well, if you will do marketing, then try to do “effective” marketing. There are so many ways to promote your product or service, above all online. Thanks for sharing your point of view, Denis.